"For anyone who's wondered what eventually happens to all the plastic in water bottles, packaging, and hundreds of other everyday uses, the feature-length documentary Addicted to Plastic offers a visually compelling, entertaining, ultimately frightening explanation...Candid interviews, especially a particularly revealing one with a representative of the industry's American Plastics Council, permit viewers to form their own opinions. Connacher's on-screen presence as a curious, energized hipster on a plastic road trip lends immediacy to his narrative and enables him to filter complex information and hypotheses into a manageable form that will provoke viewers without confusing them. All in all, Addicted to Plastic is an absorbing, shocking, only partially reassuring odyssey." "Addicted to Plastic was a wake-up call for me as a marine scientist. This film presents the viewers with a grim, realistic look at how the food chain is being affected due to plastic confetti invading nearly every square centimeter on earth. This documentary is a sort of eco-horror movie, detailing how persistent plastics sprinkled throughout the ocean and land carry chemical compounds up the food chain and onto our dinner plates. The word 'bioaccumulation' truly strikes home in a frightening and understandable way after viewing this film. Addicted to Plastic is a sobering must-see and needs to be shown at every educational level globally!" "Addicted to Plastic is a journey of discovery of what happens to the various plastics we use and what we can do about them. The documentary is riveting, disturbing, and even sometimes comforting. Everyone should see this important film." "Thought provoking and eye opening...Each segment is more revealing and provocative than the one before it." "This film really made me aware of the plastic that is all around me. That awareness is a good thing for a film to convey, and a difficult thing as well. I would recommend this film for general college courses in biology, chemistry and ecology. For anthropology courses it is best applied to global issues with some framing of the petrochemical and plastics explosions that have been part of globalization. The health ramifications of the plastics would also be of note to audience interested in environmental issues affecting urban populations. The film is really a remarkable piece of work. The issue is of importance and is undeniable in its ubiquity. The parts of the world that are not already addicted to plastic are bound to be in our lifetimes. 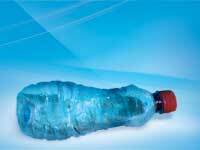 The ecological issues with plastic will remain long past our lifetimes." "Not merely a diatribe against overconsumption and littering, the program surveys how plastic is used, disposed of, and recycled into usable materials. A company in Texas makes railroad ties from melted plastic, and a Georgia carpet manufacturer creates new flooring from waste materials. In India and Africa, plastic bags are turned into handcrafted treasures. Plant-based renewable bioplastics are also discussed. Interviews with scientists, environmentalists, and developers on new ways to recycle and use plastics accent the accessible coverage...[Addicted to Plastic] offers much to ponder." "Science, social science, and journalism classes can utilize this program for study and for debate. An essential addition for environmental collections." "A great, well-made film for all ages, that should help people think twice about their plastic habit." "Vividly describes the dangers of plastics pollution without promoting bitterness and resentment. All viewers, whether plastics producers or plastic consumers, can feel hope for the future by the time the credit rolls...Highly recommended for middle-school through adult viewers." "The thing that sets Addicted to Plastic apart from many other scary documentaries is that Connacher goes looking for workable solutions. Even before remarking, 'So, what's the answer?' his film has highlighted numerous individuals and companies that have developed creative remedies to the problem of plastic." "Militant without being moralist, teaching without being tedious, this documentary suggests possible answers." The DVD includes two versions of the film: the full 85-minute version and a shorter 52-minute version as well as scene selection and links to a list of web resources.